Published in Microbial Drug Resistance -- a peer-reviewed journal by Mary Ann Liebert, Inc. publishers -- the researchers’ findings are on the cutting-edge of new findings regarding E. coli in retail meat in the United States. The group tested extended spectrum beta lactamase (ESBL) producing E. coli from cattle for food production and retail meat products using whole genome sequencing and antimicrobial sequencing. The National Antimicrobial Resistance Monitoring System (NARMS) was responsible for collecting the ESBL E. coli isolates, which came from ground beef, pork chops, chicken breast, and ground turkey. ESBLs are enzymes produced by certain types of bacteria that break down the active ingredients in antibiotics, making them ineffective. While there are currently over 200 ESBLs, the first reported infection involving ESBLs didn’t occur until 1960, so researchers are still learning more about them. According to the researchers’ report, since then, the number of infections because of ESBL-resistant bacteria -- including salmonella and E. coli -- has increased exponentially and has become a worldwide issue. Based on reports from the Centers for Disease Control and Prevention, these bacteria have caused approximately 26,000 infections and 1,700 deaths every year. In this study, the researchers tested the ESBLs against 14 antimicrobials and nine beta-lactam agents, and concluded that they all resisted at least three antimicrobials. 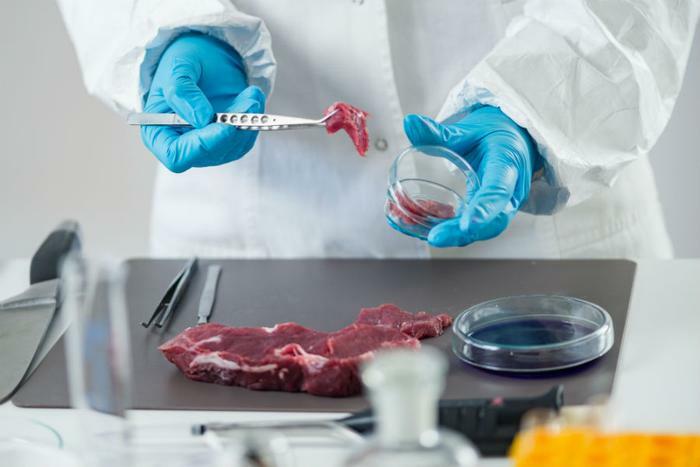 The researchers also found that the meat samples carried CTX-M type ESBL genes. This particular enzyme has been responsible for many patient hospitalizations, and has grown in its commonality across the world. Additionally, the presence of these genes in meat samples could be an indication of even more infections to come. Considering the recent E. coli outbreaks, the new research findings come at a very opportune time. Earlier this month, Publix Super Markets recalled ground beef products made from chuck after finding they were contaminated with E. coli O26. The majority of cases were in Florida and occurred mainly between July 5-25, 2018. Back in May, an E. coli outbreak in romaine lettuce affected people in 29 states. Health officials began warning consumers in April when a federal investigation out of a Yuma, Arizona farm that had grown lettuce linked to food poisoning in a prison in Alaska. By mid-May, the CDC reported a total of 172 cases of E. coli because of the bad romaine. Seventy-five people were hospitalized because of the infection, and one person died. At the time, the CDC said the number of hospitalizations for E. coli were higher than usual with this particular outbreak.